Even if you’re not a coffee fan, the atmosphere and seaside views alone are worth the trip. Impeccable service and adjoining bookstore are what make this place unique, and their iced coffee completes the experience. No matter your coffee preferences, you won’t find any better anywhere else on the Gulf Coast. Renee’s cold brew coffee is so amazing they bottle it and ship it nationwide! Known for their amazing coffee, fine desserts, and handcrafted coffees, you truly won’t find an experience like this place anywhere else. Every cup or bottle of coffee is delicately made, and you’ll want to add it to your daily routine. Inspired by the steampunk movement, this unique, elegant coffeehouse is nothing short of wondrous. Their iced coffee has an irresistible and is priced affordably. Feel free to get it to go, but the Victorian-Era-meets-technology ambiance will make you want to sit and stay awhile. There’s plenty of goodness within these walls, so prepare yourself: fresh baked items combine well with the best coffee roasters in America to bring you exceptional flavor with every order. The exposed brick walls and old wooden floors create the authentic coffeehouse vibe that will make you want to make yourself at home. The iced coffee here is as simple as they come, but the taste is a force to be reckoned with. Regardless of which Mississippi location you chose, rest assured you’ve made the right choice. Cups is known for their proprietary blends that are carefully sourced and expertly roasted to create the best in quality, flavor, and enjoyment. Their iced coffee is a decadent French roast that’s been toddy-brewed for a full 24 hours, so you know they don’t take shortcuts with their craft. This place makes getting up early a little easier thanks to its amazing iced coffees. Every cup is extraordinary, no matter how you like it. Their motto: if we wouldn’t drink it, we wouldn’t serve it. Their iced coffee will never disappoint. Part coffee shop, part bubble tea cafe, you can find all your favorites in a single stop. 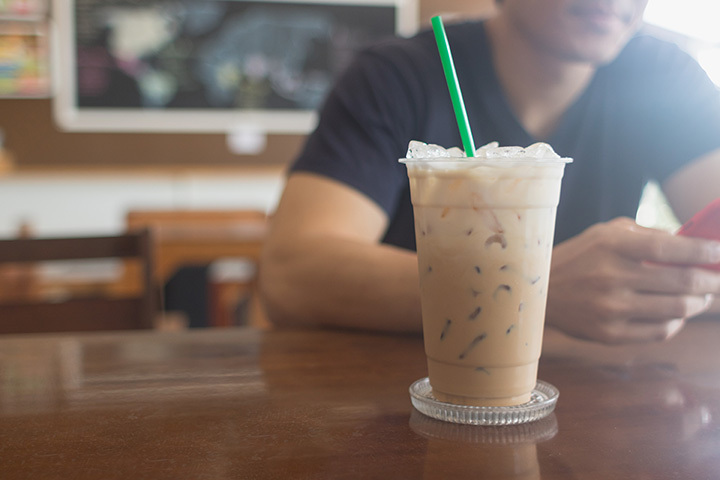 Their iced coffee comes in many forms, including lattes, daily brews, a specialty iced brew latte, and the must-try cafe sua da, popular in Vietnam. They also have a full food menu chock full of wraps, sandwiches, and gourmet breakfast items that make for an easy pick me up. This converted service station is now one of the most unique coffee shops you’ll find in Mississippi. Inside you’ll find quiet, cozy digs that are perfect for digital nomads and novel readers alike. They have a complete menu for breakfast and lunch fare, in addition to several options for iced coffee and specialty drinks. The coffee lineup here lacks for nothing. This three-location hometown coffee stop will rival any of its larger competitors, especially when it comes to quality and flavor. They also have a drive up window to make getting your daily iced coffee quick and easy. Three locations (two in Brandon) give you three times the options to grab a fresh iced brew. Alongside an award-worthy list of specialty concoctions (all of which you can get iced or blended), they have all the classic coffee shop offerings, including options for non-coffee drinkers. It’s world class coffee in small town Mississippi, and you won’t find any better in town.